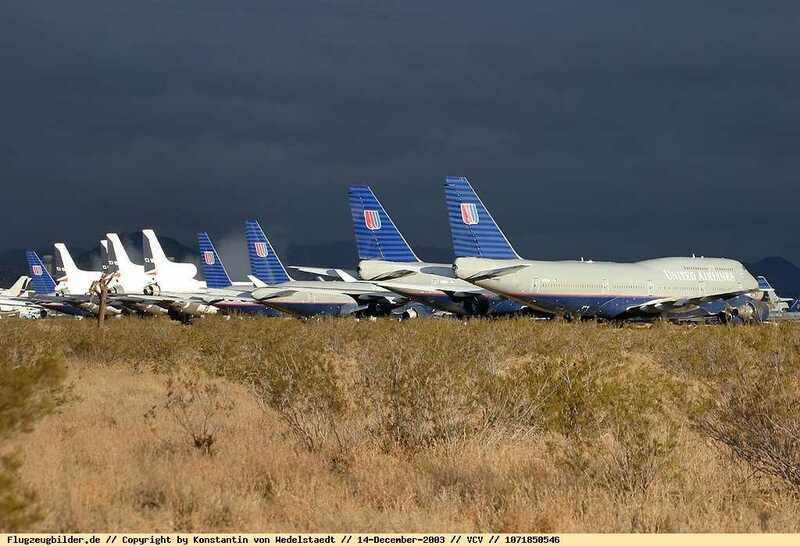 As most of you know, I believe airplanes are living things, and seeing them parked in the desert after years of faithful service is very painful. Seeing them scrapped - even more so. I received this from a 747 pilot friend. 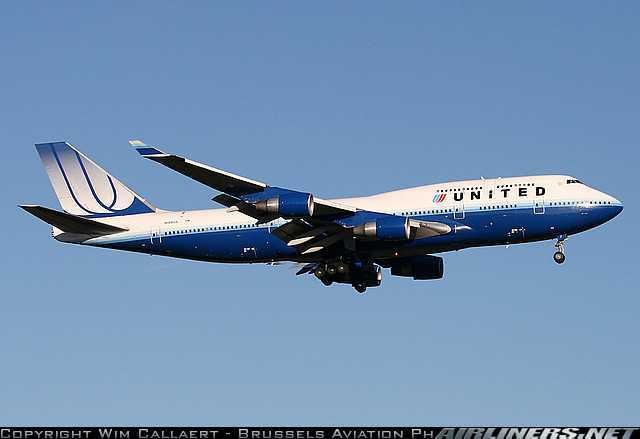 "As you know, I flew the 747-400 out of ORD during the last 3 1/2 years of my career with United. This is a very a sad note from a friend..... a sad day and story for me and probably many others. However, I had to share it. By the way, I flew this exact airplane many times to either Hong Kong or Narita (Tokyo) NON-STOP out of Chicago." On Thursday I had the sad duty of being first officer on a one-way flight from San Francisco International Airport to Victorville Airport in the Mojave Desert. The purpose of this flight was to retire a low-time perfectly good 747-400. I was called out for my last day of reserve for this dubious ferry flight. For those who haven't flown it, the 747 series aircraft are probably the best flying most graceful machines the Boeing company has ever produced. You can tell they got it right after your first flying leg. Hardly a pilot that has flown it likes an airliner better. There are a few that don't agree, but most that fly it would, and always will, refer to the 747-400 as their favorite airliner. She's a forgiving bird. The pilots have the least landings and operations of any fleet yet I've rarely, if ever, seen a truly ugly landing on it, even from the least proficient pilots. It was involved in a near miss incident we all know about in the vicinity of San Bruno Mountain in the SF Bay Area. Somehow, miraculously, the 747 didn't let this stumbling crew down. They missed the threat and got her home safely. We all got a free lesson in thinking ahead about what we should do to prepare for the worst. That incident made us ALL better at what we do. That aircraft forgave those pilots, and us. Every pilot that has time on the 777 and the -400 know this: a United 777, even the 90K engine aircraft, is limited to flights in the 12 hour range or less. It can hardly carry just passengers and their bags on flights to the edges of China. A 747 can carry those passengers plus their bags plus extra fuel needed PLUS revenue cargo to Hong Kong from Chicago or to Sydney from San Fran or LAX in the winter. If that 747 loses an engine over the North Pole you now have a 3-engined airplane to take you to a safe airport in China vs. sweating a single engine trek with low fuel temps to a questionable airport. The 777 is an amazing airplane. But the 747 does many things better. Our managers are making room. They're trying to sell our airline. They're not trying to make it better; they're trying to make it gone, at least as we know it. They're hoping that a smaller -400 fleet will make seniority integration easier and will open up Glenn's chances of making his final stand: a merger with Continental Airlines. They are getting rid of 6 airplanes that can carry more than every type of airplane on Earth, except for a few copies of the A-380. Glenn must be finding it tough these days. Maybe he punched in his PIN at the United ATM and didn't get enough back to satisfy his greed. So he'll sell the 737's and begin to sell all the 747's to be able to afford that bigger yacht. I took a bunch of pictures of this airplane before we left. I felt sick to my stomach as we rolled down the runway for her last turnoff and setting the parking brake on a ramp in the desert. I was glad the Captain wanted to fly it down. I didn't want to be the one to fly it to its last moment as a United Airliner. The Captain flew a visual approach with all the flight directors and purple lines out of view to a beautiful painted-on landing on this 15,000 foot runway in gusty winds. I saw the other dinosaurs and our newer proud airplane, that never let us down, being left behind. I swear to god it watched me and the Captain get into the van and said "...how could you leave me?" as we headed for Los Angeles for our deadhead back to SFO. These machines take on a life to us. They're MORE than machines. United Airlines CEO and his top echelon have forgotten what airlines do and that the people who fly and maintain these airplanes actually give a sh!t about them and care deeply about this airline. To Mr. Tilton: We are done with you. You've taken what you can take. You've done supreme damage to the morale of its people and the core of the business of running what was once the premier airline in the United States. Now, sir, you can get out. We don't want you here anymore. Go find another corporation to drag through bankruptcy and destroy. It's what you do best. You had your chance after September 11th, 2001 to lead us and instead you picked us up, opened the lid, turned us upside down and shook until there was little left. Keep your attorney friend Sprayragan on your Christmas card list. You guys make a great team. #8196...Aloha...and mahalo for never letting me down. I know a lot of 747-400 pilots who will concur with the above. And a lot of UAL employees with the pointed criticisms of management. By way of context, UAL is retiring ALL of their 737s, and a significant number of 747s as well. The opinions are those of the writer. Copyright 2009 Robert Bogash. All Rights Reserved. Photos are Copyright their respective Copyright owners.